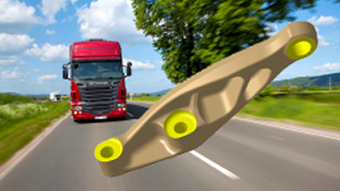 Hot stamped steel parts are being increasingly used in automotive structures for their higher strength to meet safety standards while reducing vehicle weight to improve fuel consumption. However, manufacturing of sheet metal parts by hot stamping to achieve desired properties is extremely challenging as it involves complex interaction of plastic deformation, metallurgical change, thermal distribution, and fluid flow. F.tech R&D North America Inc. started in 2003 at the Troy Ohio location. 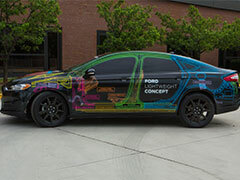 Today F.tech R&D North America features offices in Troy Michigan and Düsseldorf Germany. 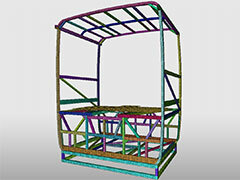 F.tech has full R&D capabilities from design and CAE, to prototyping and test. 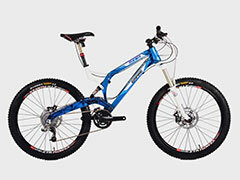 Products include subframes, suspension components, and pedals. 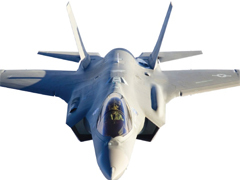 Extrusion of metals is a commercially important mass production process and extruded part are used in a wide variety of applications in in aerospace, automotive, railway, medical, electronics, consumer products and nuclear industries. The key to successful extrusion is the die design and it affects the entire gamut of production process from feasibility to product quality. 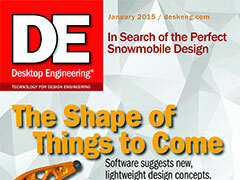 A die designer faces a complex challenge of delivering a working die and often, problem dies are returned for rework. This directly affect the cost and profitability. Hence, it is critical for a die designer to ensure that the die designed produces the desired profile within acceptable quality and in addition, die is strong enough to withstand multiple extrusion cycles. 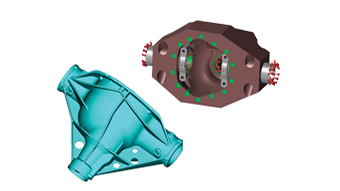 Use Inspire to form optimization from the packaging space, performance loading and manufacturing constraints to design an axle close to production ready design. 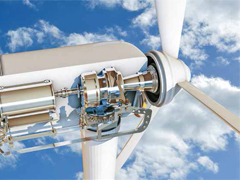 The model setup requires careful setting of axle internal component design and oil flow consideration. 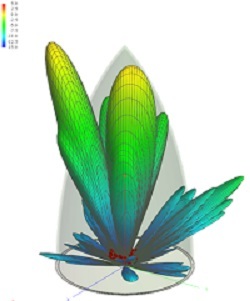 Since Inspire does not provide weighting for different load cases, the author was able to gain from trial run to determine the balanced load application, mass target and meshing size requirement to obtain realistic design. 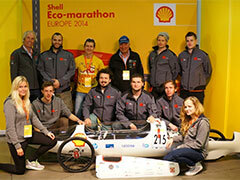 Team Rafale is regrouping aerospace engineers, as well as faculty members and students from ETS (Ecole de Technologie Superieure, in Montreal, Canada), who have taken on the ambitious challenge to design, build and race a C-Class catamaran in The Little Cup. 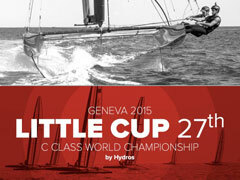 This event, considered as the C-Class World Championship, will see the team face some of the toughest competition around, including contenders for the next America’s Cup such as Franck Cammas (current champion) and designers for current America’s Cup teams. inclusion of input uncertainty will be most likely only 50% reliable. Both the automotive and aerospace industries face ever-increasing Electromagnetic Interference challenges. In the automotive case, new problems arise due to proliferation of electric and hybrid cars, which carry high-voltage systems, and of wireless infotainment and safety systems, which use high frequencies. 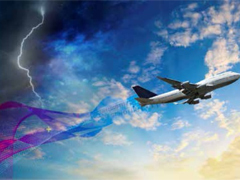 The aerospace industry’s challenges are exacerbated by the use of composite materials and by the need to protect against lightning strikes. 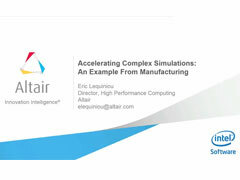 This presentation will discuss many of the challenges and explain how they can be met with simulation. 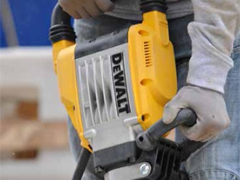 A few practical examples involving cable harnesses will be analyzed in more depth. The aeronautical sector is facing many concurrent challenges since OEMs have to ensure their commitments in terms of delivery, whereas eco-responsibility, eco-efficiency and sustainable development are becoming more and more significant requirements. In this environment, competition between all players of the sector increase with new comers, offering low cost capabilities and strong investments. 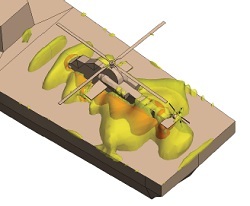 Engineers from wide ranges of industries face ever increasing needs for complex, realistic models to analyze the most challenging industrial problems; AcuSolve is designed to tackle these finite element-based Computational Fluid Dynamics (CFD) simulations with superior robustness, speed, and accuracy. 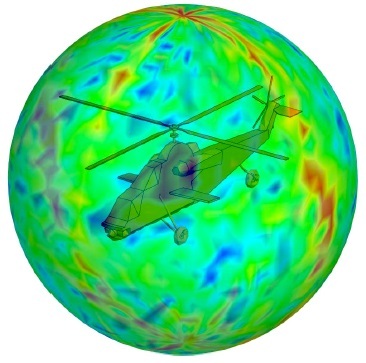 AcuSolve simulations are designed to carry out on large-scale computational systems effectively. The breakthrough in HPC parallel computing that allows such complex analyses to be performed that generate the high-quality results, while reducing simulation time from days to just hours. Behind this type of computational improvement that makes AcuSolve perform, it involves complex calculations and data exchanges among computational systems. 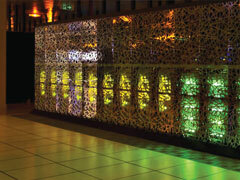 The more complex simulations are being performed, the higher demands from the cluster performance are. 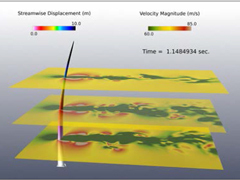 In this analysis, the HPC Advisory Council has performed a deep investigation and profiling for the AcuSolve CFD solver to evaluate its performance and scaling capabilities and to explore potential optimizations. This study presents the optimization techniques and networking profiling results to further understand AcuSolve dependencies on the CPUs, communication networks, IO subsystems and the underlying hardware. 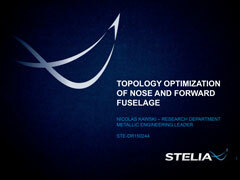 The paper will review the effects by comparing various hardware using different simulation models. 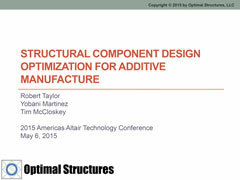 Additive manufacturing (AM) technology enables the possibility of realizing highly efficient, optimized structural components with configurations not achievable using conventional manufacturing methods. 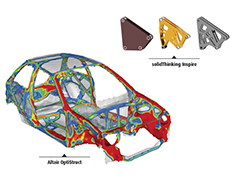 The Altair and Solid Thinking toolsets provide advanced capabilities to design structural topologies to minimize weight and maximize other performance criteria. 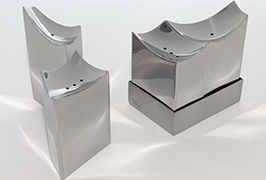 However, conventional manufacturing processes require application of design constraints, such as directional access for machining, in the optimization that limit the structural efficiency of the resulting design. AM can remove many of these constraints to allow for more efficient configurations under the applied loading conditions. Case studies show the potential to reduce weight up to 30% for components with applied bending and torsional loads by allowing increased complexity configurations that could only be manufactured additively. 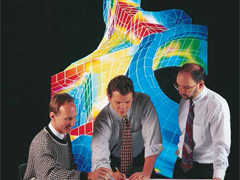 Engineers develop design and analysis skills through application of principles, methods, and tools to the solution of complex, often ill-defined problems. Engineering training that focuses on simple, focused component-level applications teaches some portion of the skills needed to execute real world problems but is incomplete. 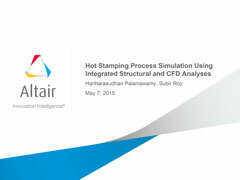 Altair has experience both deep and broad in applying optimization technologies and has developed a training curriculum aiming to teach engineers more comprehensive design optimization skills and knowledge in aerospace applications. 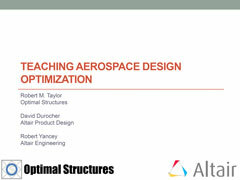 The Altair Aerospace Optimization Academy has been developed as a series of online modules to develop deep design and optimization knowledge and skills in engineers that have basic structural analysis and finite element experience. 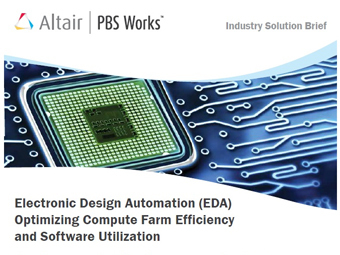 The training curriculum leads students through complete design cycles using Altair’s advanced optimization technologies and explores the different approaches that engineers can use to develop aerospace designs for a variety of metallic and composite components and configurations. For fiber reinforced automotive parts the consideration of anisotropic material behavior is required to receive reliable results. In the scope of this fact a procedure is described how to consider these effects in terms of process-structure interaction and how to achieve possible benefits such as weight reduction and shorter development cycles. The procedure is outlined with practical applications from company Valeo Ligthing Systems and another industrial partner project that is currently still in progress. 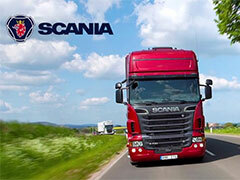 Mahle is one of the top automotive suppliers and one of the top 3 piston suppliers worldwide. 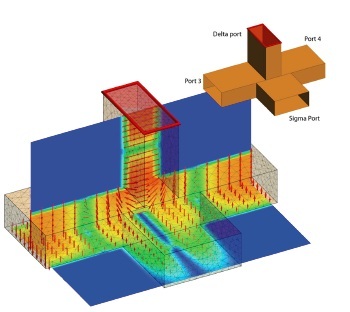 With the recent advancements in numerical simulation and computing power, the FEA process has become a major tool to look at the reliability of different design variants. With these advancements, the reporting aspect remained a relatively unchanged process of manually creating pictures and tables with all of the different results. 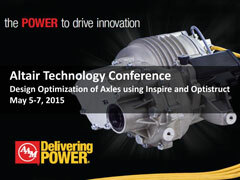 This presentation will look at the collaboration work between Mahle and the Altair Product Development (PD) team to customize the Automatic Reporting Director (ARD) for Mahle's requirements. The goal was to use to better utilize the engineers time by automatically generating a report with standard formats, pictures, and tables. 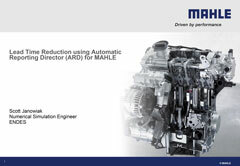 By using the ARD tool, Mahle was able to reduce the lead time for a report from over 4 hours down to less than 1 hour. The automotive industry, in its constant quest for weight reduction, is increasingly considering composite materials as a substitute for sheet metal components to meet future fuel consumption standards. However, composite forming processes are expensive and difficult to control because of the complexity of the material behavior with fiber and matrix layers or plies and its dependency on many parameters, such as non-linearity of tensile stiffness, effect of shear rate, temperature and friction. 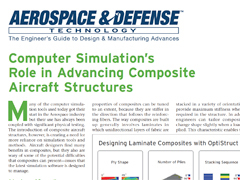 Hence, numerical simulation could be a viable approach to predict material behavior during composite forming. 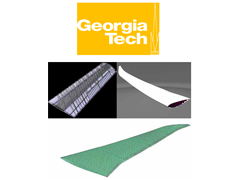 The objective of this study is to highlight capabilities of RADIOSS™ to simulate forming simulation of composite plies made from woven fibers, each ply modeled as a layer of woven fibers along two directions of anisotropy, warp and weft. 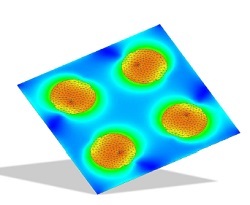 For validation the well-known double dome model published in NUMISHEET’05 proceedings is used. The compared result is the shear angle after stamping that is, the final angle between warp and weft fibers, at several prescribed points on the ply. The variation of this angle has a strong impact on material characteristics which severely deteriorates when a critical value is reached. Hence, a study on crash simulations is performed, after mapping fibers angles from stamping simulation. 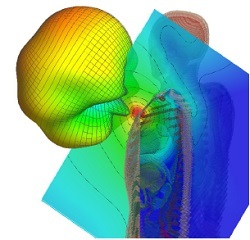 HyperWorks customer Jeff Harris from NuVasive has used HyperMesh to solid hybrid mesh consecutive human vertebrae and discs from a patient bone scan. 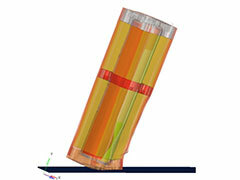 The meshing, set up in Hypermesh, is simulated using Ansys for motion limits, stiffness, and disc material correlation. 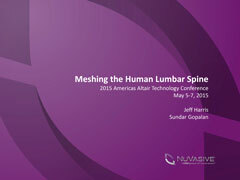 Once a model is correlated, disc implants are modeled and simulated with the goal of replacing degenerate discs. This paper introduces some of the recent extensions to the computational electromagnetics code FEKO as released in Suite 7.0. 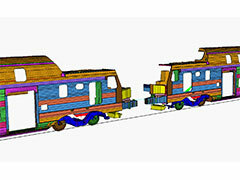 The FDTD (Finite Difference Time Domain) method was added to the selection of available solvers. MLFMM (Multilevel Fast Multipole Method) and PO (Physical Optics) were hybridized for electrically large applications. The RL-GO (Ray-Launching Geometrical Optics) solver was extended and improved in terms of speed and accuracy, and a new interface to import measured near-field antenna data from MVG/Starlab will be presented. 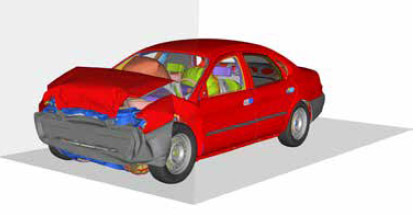 FMVSS 201 procedure originally rolled out in 1968 by Federal Motor Vehicle Safety Administration to protect the automobile occupants from fatal injury during the crash. Since the beginning of the law, the automobile interior safety has become considerably more challenging for manufacturer to meet FMVSS 201 standard criteria. 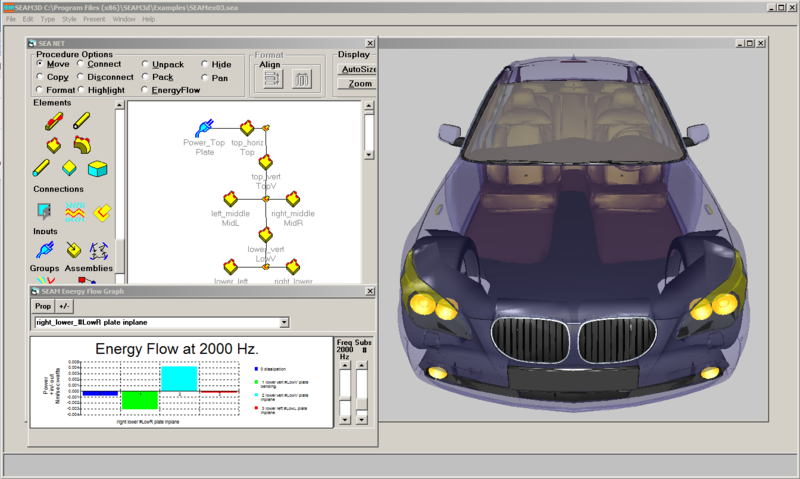 During the course of instrument panels (IP) development, engineers are heavily relied on computer simulation to optimize the design for a more robust design. Based on FMVSS 201, there are an infinite number of target points on the instrument panels that must be tested for head impact performance. Therefore, this becomes not only costly but it is impossible for the manufacturer to test all possible target points using the current conventional process. Wireless technologies have proliferated onto automotive platforms as part of infotainment, telematics and active safety initiatives. 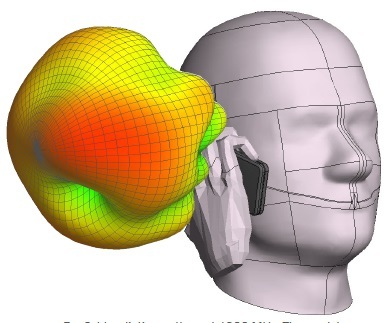 These wireless solutions present engineers design challenges in the area of applied electromagnetics in terms of antenna design, antenna placement, electromagnetic compatibility and wave propagation. 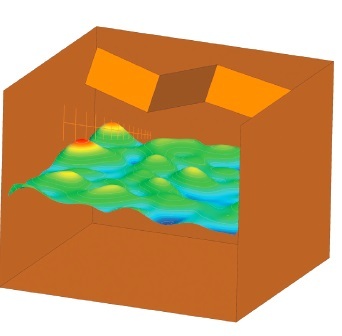 The Applied EMAG and Wireless Lab at Oakland University possesses an outdoor vehicle-level antenna range (80 MHz - 6,000 MHz) and full-wave electromagnetic field solvers with high end computers to solve these issues. This presentation will highlight some of the past and recent research projects conducted in my lab that relied on a full-wave electromagnetic field solver to investigate the issue and subsequently be validated with measurements. 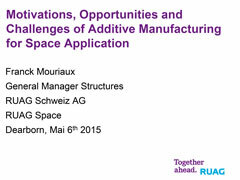 Additive manufacturing (AM) technologies have progressed rapidly in the last years. Supported by the recent developments of design optimisation tools and manufacturing capabilities, components and parts produced using AM are emerging more and more into the focus of space industry. The aim of this presentation is to show why AM can be seen a promising manufacturing technique for space industry and in particular for satellite application? Opportunities and challenges that have to be faced to make 3D printed components “flying” on spacecraft are presented and discussed. The re-engineering and qualification approach of the already existing Antenna Support Bracket, that is part of the Sentinel-1 spacecraft, is discussed as a case study to bring this topic into the more tangible context of an industrial project. The capability to assess the current or future state of the health of an aircraft to improve safety, availability, and reliability while reducing maintenance costs has been a continuous goal for decades. 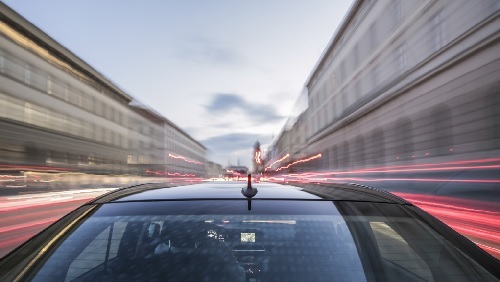 Many companies, government agencies, and academic institutions have become interested in Integrated Vehicle Health Management (IVHM) and a growing effort of research into “smart” vehicle sensing systems has emerged. 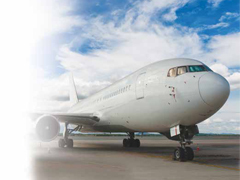 Methods to detect damage to aircraft materials and structures have historically relied on visual inspection during pre-flight or post-flight operations by flight and ground crews. More quantitative non-destructive investigations with various instruments and sensors have traditionally been performed when the aircraft is out of operational service during major scheduled maintenance. Through the use of reliable sensors coupled with data monitoring, data mining, and data analysis techniques, the health state of a vehicle can be detected in-situ. A presentation on Michigan’s automotive industry. 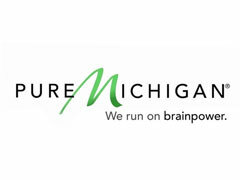 An overview of the automotive strategy that was developed by the Michigan Economic Development Corporations automotive office and the continued work in the area of talent development including the new “We run on brainpower” campaign. In this webinar we cover some of the theory of CMA, as well as present several new case studies highlighting the CMA design advantage. These include optimum feeding and placement of antennas on platforms and decoupling of antenna elements in a MIMO configuration. 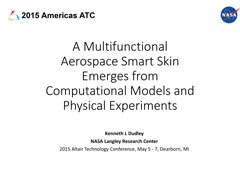 This Workshop Presentation on NVH was conducted by Jianmin Guan at the Americas ATC on May 5, 2015. This workshop introduced Altair full frequency and multi-physics solutions for solving the most pressing problems in the NVH field. 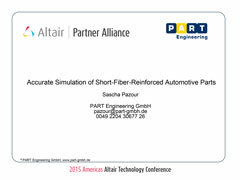 It provided an overview of Altair’s solutions designed to facilitate the best in class NVH design process at automotive OEMs, coupled with real-time demonstrations of key product features. 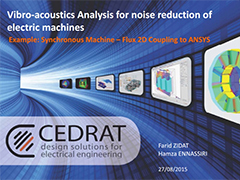 The focus of the workshop is on effective NVH problem resolution. 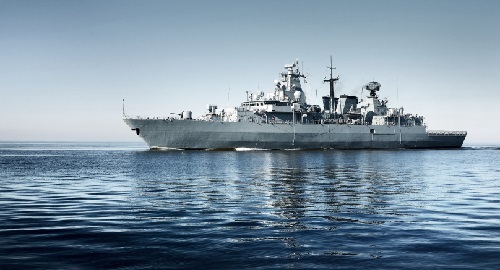 communication and radar antennas for aircrafts, ships, vehicles, satellites, missiles and other platforms. 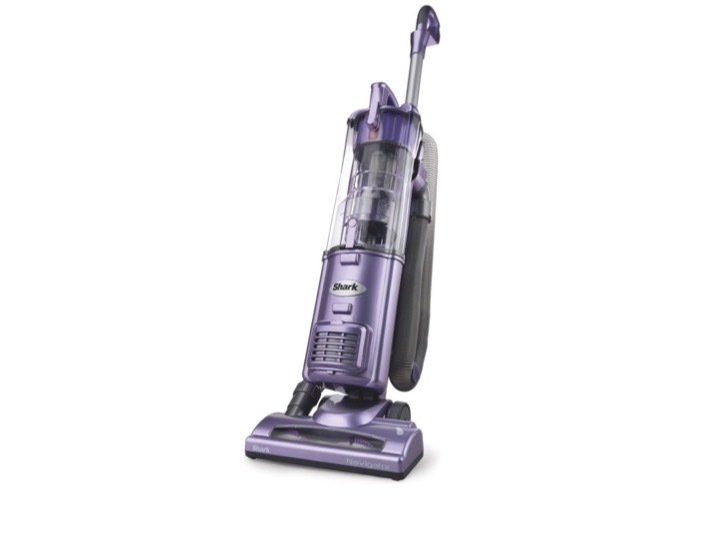 products such as mobile phones, tablets, cameras, laptops and TVs. 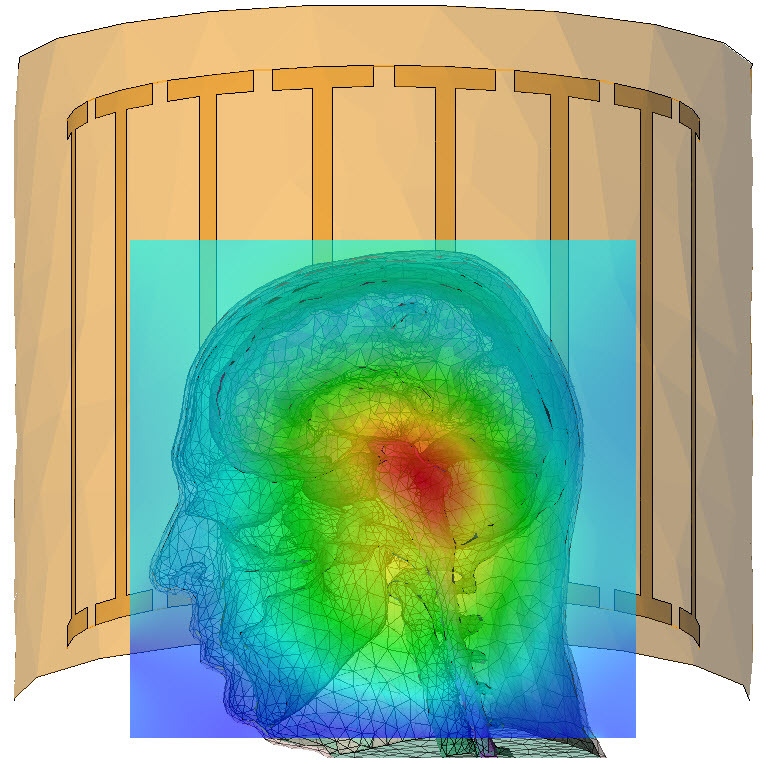 imaging (MRI) coil design and implant telemetry, through to surgical tools such as biopsy needle antennas. In today’s remarkably competitive markets, the packaging industry needs to be highly responsive to the rapidly changing industry they operate in. New products are being produced all the time, and packaging professionals must maintain a fine balance between packaging performance, environmental impact and shelf appeal while keeping costs to a minimum. Amcor wanted to explore ways that it could accelerate the engineering and analysis tasks associated with the development of new packaging products. Altair ProductDesign’s Enterprise Solutions Group worked with Amcor’s simulation specialists to identify where time and eventually costs could be saved within the design process. Following an investigation into current design practices, the ESG suggested that Amcor could take advantage of the Impact Simulation Director (ISD). 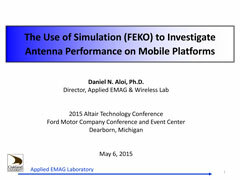 FEKO’s Characteristic Mode Analysis capability is used to improve an ultra-wideband antenna. 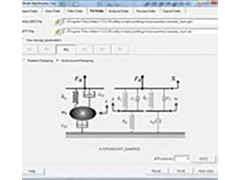 antenna analysis tool tailored for antenna designers. 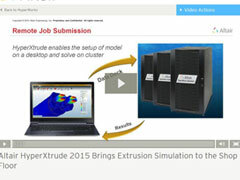 FEKO thanks to the simulation methods the tool offers. 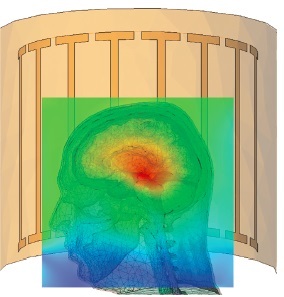 insight into the resonating behavior of structures such as antennas. - where computers are embedded and an invisible part of our lives. 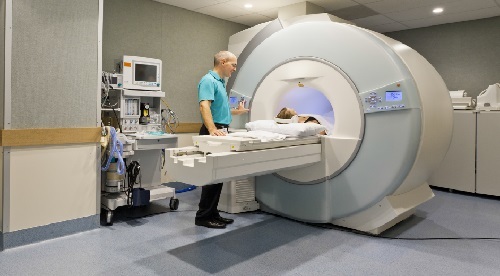 sophisticated imaging systems like magnetic resonance imaging (MRI). Waveguides have been widely used since the first space communications. 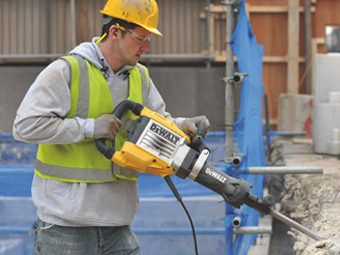 industries, the technology is continuously evolving. tips and tricks and demonstrations. 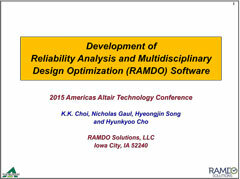 In this webinar we present a complete solution for the design and analysis of radomes. 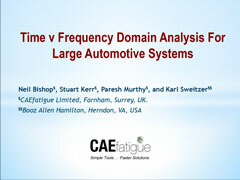 We also discuss in detail the challenges and the solutions to the design and analysis of Frequency Selective Surface (FSS) radomes. 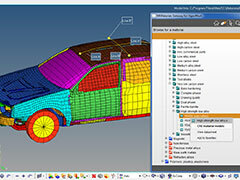 Watch this 45-minutes webinar recording to find out how the new MI:Materials Gateway for HyperMesh application provides access to validated CAE materials models from directly within HyperMesh. 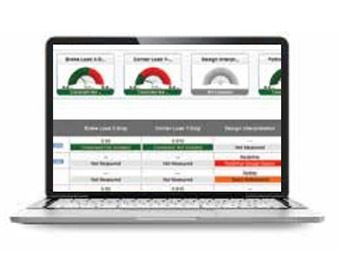 See how to get the data you need, fast and error-free. Understand how and why leading engineering enterprises manage their materials information to ensure delivery of traceable, high quality information for simulation. GRANTA MI:Materials Gateway both provides access to this managed proprietary data and to a unique, comprehensive library of reference data on metals, plastics, composites, compiled over the 21 years since Granta’s spin-out from the University of Cambridge. An important factor in improving vehicle quality and perception is guided by how vehicles are designed for noise, vibration and harshness, making NVH an important domain for the automotive industry. 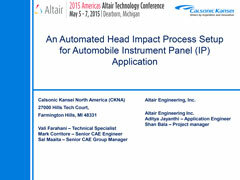 Altair and its Alliance Partners offer a complete solution for automotive NVH applications. 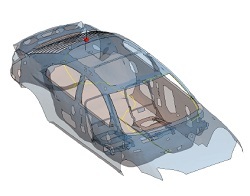 In this 45-minute webinar, we will give an overview of problems faced in the automotive industry for NVH analysis and how HyperWorks and Altair’s Partner technologies help address these issues, providing a complete solution that spans from modeling and assembly to analysis, diagnostic and optimization. A model-based embedded development system enables AMETEK to design, simulate, create firmware for and validate a chiller unit control system. Watch this 45-minute webinar recording to learn the latest advancements in composites design and optimization of carbon fiber composites and mixed material structures in the automotive industry. 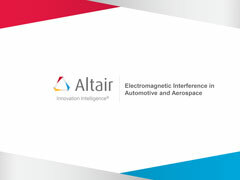 Capabilities included in Altair HyperWorks as well as third party products available through the Altair Partner Alliance will be illustrated, showing real life examples of application. Broadband antennas such as biconical antennas, log period antennas, loop antennas and horns are typically used in EMC test set ups. Dr. Alois Starlinger is talking about how Altair products made an impact in shortening development time at Stadler Rail. Altair OptiStruct is used by thousands of companies worldwide to analyze and optimize structures for their strength, durability and NVH (noise, vibration and harshness) characteristics. 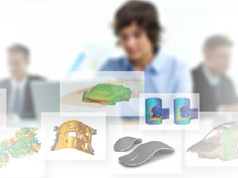 In this complimentary 45-minute webinar you will learn some of the most recent features introduced in OptiStruct for powertrain NVH and durability analysis, with particular emphasis on the creation of flexible bodies for engine dynamics analysis. 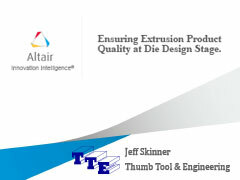 Altair OptiStruct has recently became the first FEA solver that can directly connect to AVL EXCITE to produce a ‘body property’ input data file (.exb) without the generation of intermediate files requiring translation. Specific case studies will be shown to demonstrate how these new capabilities lead to significant improvements in turnaround time and robustness of the engine dynamics analyses. 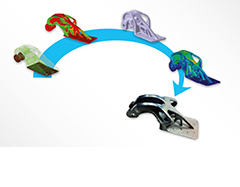 Altair recently announced new solver capabilities for OptiStruct that extend its topology and sizing optimization technology to support the design and optimization of parts manufactured by additive manufacturing, or 3D printing. 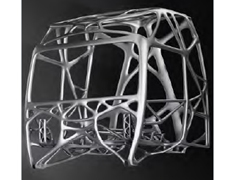 A unique capability of 3D printing lies in its ability to manufacture hollow shapes with complex internal geometry using repetitive cells of varying density known as lattice structures. 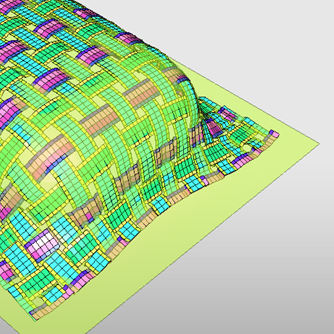 OptiStruct now extends topology and sizing optimization to assist in the efficient blending of solid-lattice structures with smooth transitional material volume. This new technology satisfies an unmet need, since no tools previously existed for lattice structure design with optimal and structurally efficient material distribution. 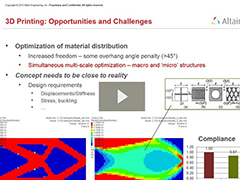 In this 45-minute complimentary webinar you will learn more about optimization technology for lattice structures from the voice of Altair’s optimization leaders. 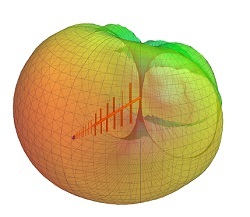 OptiStruct’s two-phase lattice optimization process will be explained and real models will be shown to illustrate possible applications of the technology. Altair's Simulation Manager allows users to manage the life cycle of simulation projects through an intuitive web based portal. and comfort characteristics for automobiles. 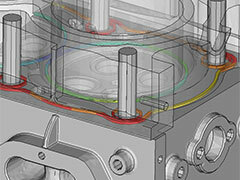 Below are details about the workflow and components of the Altair Bushing Model. 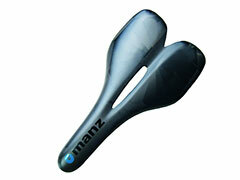 dynamics and extract stress/strain for further durability studies.